Lieutenant Commander Khan Beaumont joined the Royal Australian Navy in February 2000 as a Combat Systems Operator from Geelong, Victoria. After gaining his Rating he joined HMAS Arunta and during this posting he participated in several national and multi-national exercises. He also conducted Operation RELEX, in support of border protection, and Operation SLIPPER in the Middle East. Promoted to Leading Seaman in 2004 he rejoined HMAS Arunta and once again conducted several national and multi-national exercises throughout South East Asia. He also partook in Operation RELEX II in support of border protection. In 2006 Leading Seaman Beaumont was commissioned and commenced the Civil Schooling program at Deakin University in Geelong, Victoria. In 2008 Midshipman Beaumont completed degree studies and was awarded a Bachelor of Arts (International Relations) and a Bachelor of Commerce (Human Resource Management) from Deakin University. He commenced Officer training at HMAS Creswell later that year and was promoted to Sub Lieutenant. He went on to complete his Officer of the Watch training in HMA Ships Ballarat, Larrakia, Albany, before being promoted to Lieutenant and being awarded his Bridge Warfare Certificate in HMAS Arunta in late 2010. Lieutenant Beaumont served as an Officer of the Watch in HMAS Warramunga before posting to the Armidale Class Patrol Boat rotational crew Assail Five in late 2012 as Executive/Boarding Officer conducting operations in support of Operation RESOLUTE. In June 2014 Lieutenant Beaumont transferred to the Active Reserve in order to pursue professional development in the civilian maritime industry. He gained a Bachelor of Science (Nautical Science) from the University of Tasmania (Australian Maritime College) in 2016 and gained experience in various positions within the commercial maritime industry. During this time Lieutenant Beaumont remained an active reservist undertaking roles for Patrol Boat Group and Defence International Training Centre. In early 2017 he was temporarily promoted to Lieutenant Commander and assumed Officer in Command of Transit Security Element 84 in support of Border Protection. In June 2017 Lieutenant Beaumont was selected for Command of HMAS Ararat and transferred back to the Permanent Navy. 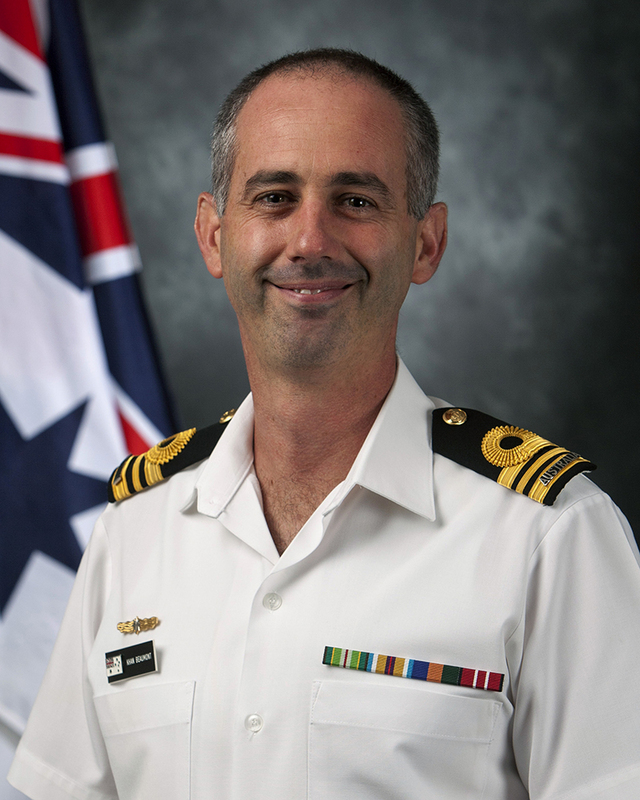 In June 2018 he was promoted to Lieutenant Commander and assumed command of HMAS Ararat.